Applied and clinical sociology are the practical counterparts to academic sociology, because they involve applying the knowledge and insights developed within the field of sociology to solve real world problems. Applied and clinical sociologists are trained in the theory and research methods of the discipline, and they draw on its research to identify problems in a community, group, or experienced by an individual, and then they create strategies and practical interventions designed to eliminate or reduce the problem. 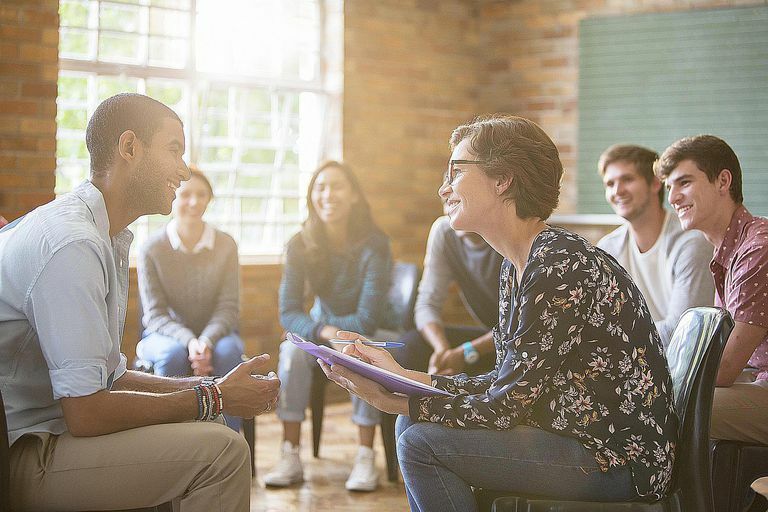 Clinical and applied sociologists work in fields including community organizing, physical and mental health, social work, conflict intervention and resolution, community and economic development, education, market analysis, research, and social policy. Often, a sociologist works both as an academic (a professor) and in clinical or applied settings. According to Jan Marie Fritz, who wrote "The Development of the Field of Clinical Sociology," clinical sociology was first described in print by Roger Strauss in 1930, in a medical context, and further elaborated by Louis Wirth in 1931. Courses were taught on the subject by sociology faculty in the U.S. throughout the twentieth century, but it was not until the 1970s that books on it appeared, written by those now considered experts on the topic, including Roger Strauss, Barry Glassner, and Fritz, among others. However, the theory and practice of these subfields of sociology are rooted firmly in the early works of Auguste Comte, Émile Durkheim, and Karl Marx, consider among the founders of the discipline. Fritz points out that noted early American sociologist, scholar of race, and activist, W.E.B. Du Bois was both an academic and a clinical sociologist. In his discussion of the development of the field, Fritz lays out the principles for being a clinical or applied sociologist. They are as follows. Translate social theory into practical use for the benefit of others. Practice critical self-reflection about one's use of theory and its affect on one's work. Offer a useful theoretical perspective to those one works with. Understand how social systems work in order to successfully work within them to address social problems, and change those systems when necessary. Work on multiple levels of analysis: individual, small groups, organizations, communities, societies, and the world. Help identify social problems and their solutions. Choose and execute the best research methods to understand a problem and respond positively to it. Create and implement interventionist processes and practices that effectively address the problem. In his discussion of the field, Fritz also points out that the focus of clinical and applied sociologists should ultimately be on the social systems that surround our lives. While people might experience problems in their lives as personal and individual--what C. Wright Mills referred to as "personal troubles"--sociologists know that those are most often connected to larger "public issues", per Mills. So an effective clinical or applied sociologist will always be thinking about how a social system and the institutions that compose it--like education, media, or government, for example--can be changed to reduce or eliminate the problems in question. Today sociologists who wish to work in clinical or applied settings can earn a certification from the Association for Applied and Clinical Sociology (AACS). This organization also lists accredited undergraduate and graduate programs where one can earn a degree in these fields. And, the American Sociological Association hosts a "section" (research network) on Sociological Practice and Public Sociology.